The Bosch 7 in. 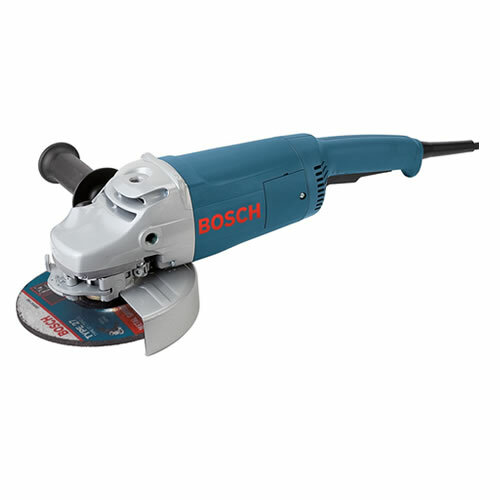 Large Angle Grinder features a powerful 15 Amp motor that delivers 3 HP and up to 6,500 RPM for precise, efficient work. It is compact, lightweight and ergonomic with a handle angled in a natural position to help reduce fatigue, while a convenient locking on/off switch permits extended operation. It can even be used for concrete cutting, concrete surfacing and metal cutting with the proper attachment (sold separately), and its cleverly designed with service-minder brushes that disable the tool when service is needed.